The Cannes Film Festival Palme d’Or winner should factor into the end of the year awards season. 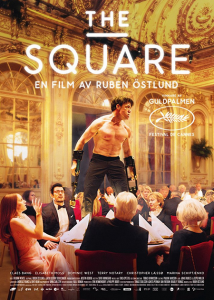 Written and directed by Swedish filmmaker Ruben Östlund (“Force Majeure”), “The Square” proves to be uncomfortable and provocative entertainment. A satire about the conflict between political correctness and free speech, it is highly recommended. 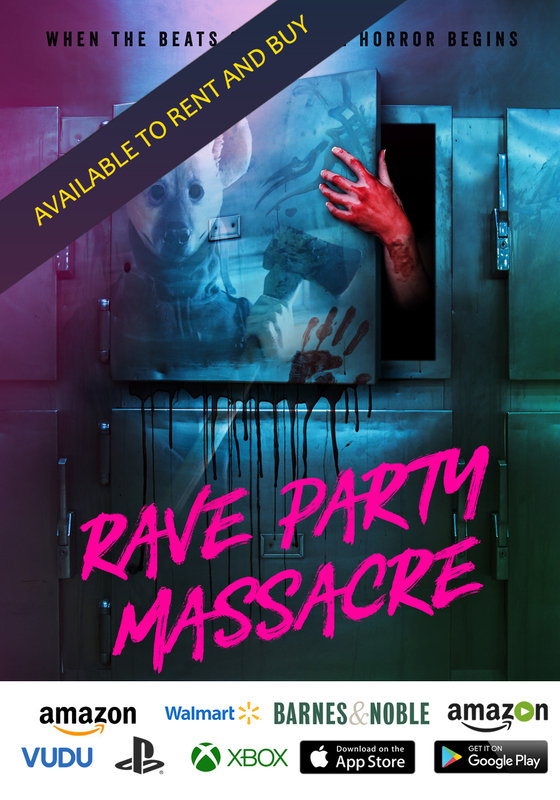 The story concerns a contemporary art museum curator named Christian (Claes Bang) attempting to launch an edgy art exhibit. The simplistic exhibit will feature an LED lit square embedded in the ancient stone sidewalk in front of the museum. Inside that square everyone will be respected as equal. Of course, privately, Christian hardly thinks of himself as an equal. And he’s somewhat exposed in an interview with journalist Anne (Elisabeth Moss), who cuts through the pretense with a small but sarcastic roll of the eyes. But while Christian embarks on a controversial advertising campaign for the new exhibit, his cell phone is stolen, and he decides to have fun with the thief. Of course, this does not go down well. There’s no way to watch this film without considering the current political landscape. As Christian’s reckless actions begin to consume him, the viewer is uncertain as to what is real and what might be taking place in his own mind. In one sequence, Christian is visited by a young boy who calls him out for his actions, which involve wrongfully accusing the youngster of stealing. The boy is a powerful voice and reflective of the current climate in which an accusation is enough to bring down the powerful. What is interesting about this exchange is that the boy is so very insistent that his name be cleared that there is just no way to avoid being moved by his pleas. And how Christian handles this moment takes “The Square” from amusing satire into something approximating dramatic horror. That little boy’s cries will stay with you. 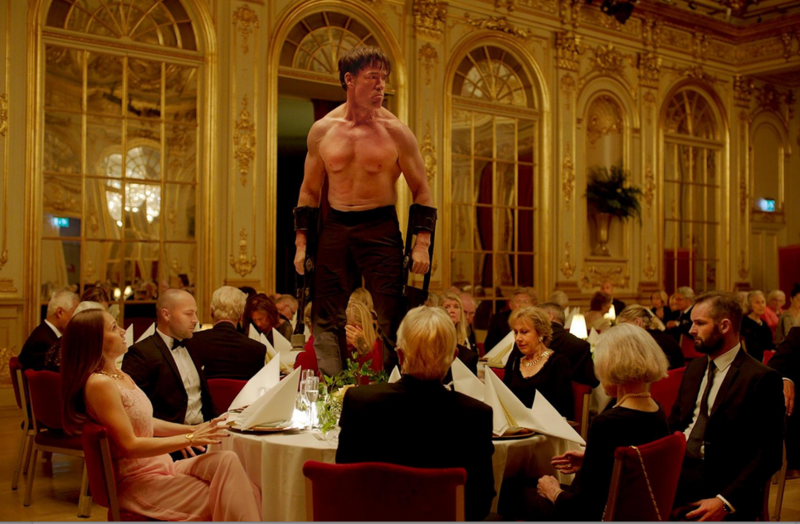 Featuring a number of jaw-dropping sequences especially one in which an actor impersonates a wild ape at a dinner party, “The Square” bites hard on social mores exposing the inherent hypocrisy associated with some of the loudest voices sounding the political correctness alarm.